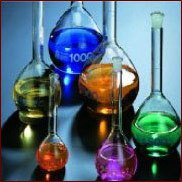 Previous mass finishing chemicals were mainly alkaline based and loaded with complex-forming agents. We are proud that today our compounds are based on organic substances, which are almost completely bio-degradable. A computer controlled mixing process and constant quality controls in our own laboratories ensure that our high quality standards are met.